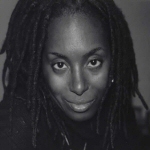 Bernadette Pruitt is the 2005-2006 Postdoctoral Research Associate and Fellow in the Department of African American Studies at the University of Illinois at Chicago. She is also assistant professor of history at Sam Houston State University in Huntsville, Texas. Her Ph. D. in history comes from the University of Houston, while her undergraduate and master’s degrees are from Texas Southern University. She has authored a number of articles and essays on the Black experience in the United States, including “‘For the Advancement of the Race’: African-American Migration to Houston, Texas, 1914-1940,”in the Journal of Urban History, v. 31, no. 4 (May 205): 435-78. The native of Detroit, Michigan, specializes in Black urban history and is completing her book-length manuscript on the Great Migrations to Houston, Texas.